The doors opened at 7pm and the teams arrived eager to commence "battle" to see who would be the winning team this time. The quiz master of the evening Nick, had prepared a challenging quiz and a hush fell on the room as the first round commenced. There was a welcome break after round three for a supper of Lasagne follwed by Tiramisu. Whilst eating the teams still continued to work on the table rounds. A great deal of friendly banter could be heard around the room as the teams competed with each other. After supper a further three rounds and then a small delay whilst we waited for the winning team to be announced. The triumphant team are pictured below. 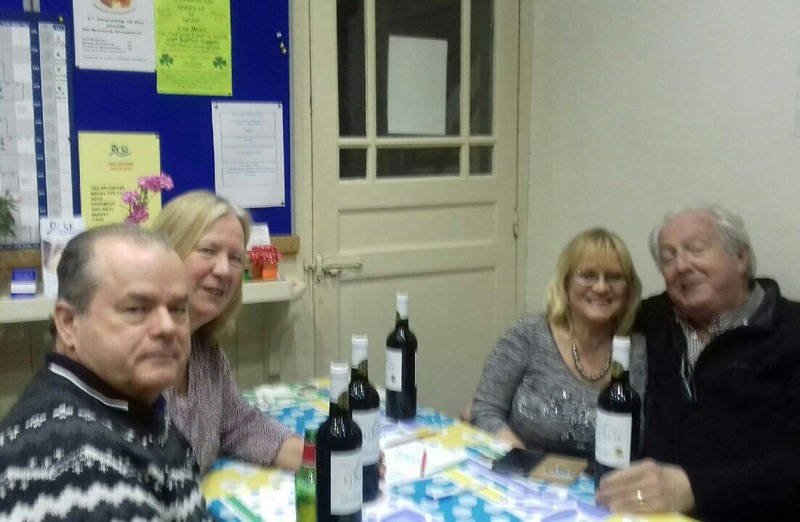 A quiz evening is held at the Day Centre every six weeks, why not come along to the next evening and see if you can be a member of the winning team.